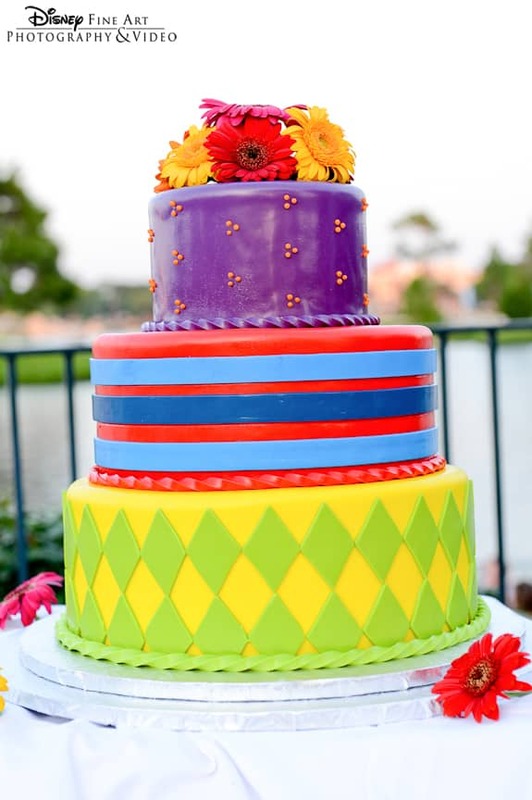 Stripes, diamonds and Hidden Mickeys- oh my! 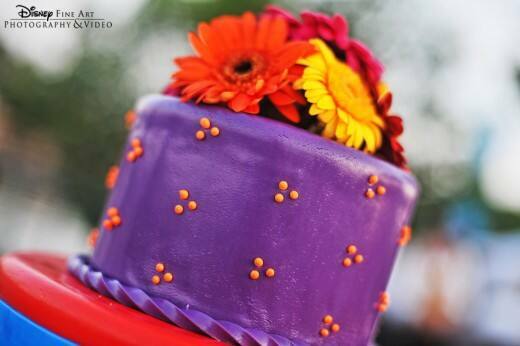 Capturing the essence and vibrant hues of summer, this week's cake is the perfect addition to any July wedding reception. And who doesn't love a gerber daisy cake topper?